You marriage is shaky. You survived a war in Cyprus together, and lost everything. Now you’re basically biding time. A letter arrives from friends you knew in Cyprus. They’re sailing a new yacht from Taiwan to Europe for a Swedish millionaire. You’re invited to join them in Sri Lanka, as crew. Neither of you knows boats, but you’ll learn — it will be the trip of a lifetime, cruising the Indian Ocean in a pleasure yacht! When Susan and Charles receive a letter from Cyprus friends, now in Taiwan, they get a chance to help crew a sailboat from Sri Lanka across the Indian Ocean. They have no clue what to expect. Susan reminds Charles she isn't a good swimmer. He tells her a life jacket will do the trick, and convinces her it's the opportunity of a lifetime. A must-do travel adventure. They say goodbye to friends and family in sunny California, fly to New York and on to India, arriving the day the Indian government has issued a state of emergency. And then onto the boat, and into the ocean. In monsoon season. With no charts. 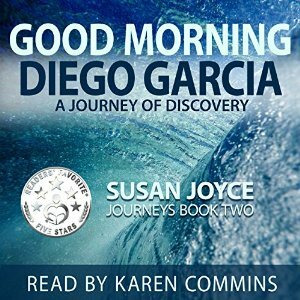 In this true-life travel adventure, Susan keeps a journal and records her bizarre thoughts and telling dreams. A real life thriller, Susan's monsoon-season journey is about discovery and spiritual realization--one dream at a time. Now available in audio version~! The harrowing personal journey of a young American woman facing seemingly insurmountable situations while living in the Middle East and Europe. After many miscarriages and the loss of a child in childbirth on the island of Cyprus, Susan seeks solace in creating art and recording her vivid dreams. From Cyprus's bloody coup and war in 1974, a rescue from a sinking ship in the Indian Ocean, learning of her husband's secret life, and surviving his deadly assault in Belgium, she discovers her ticking clock is not the child she fails to produce, but rather her creative potential. Following her dreams and intuition, she successfully reinvents herself as artist and writer. 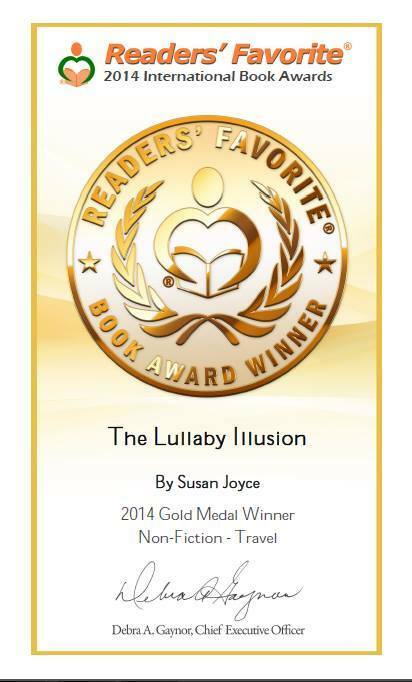 ​Here's what Amazon readers are saying about The Lullaby Illusion. "Rich in dialogue, humour and history, with glorious descriptions of her travels, in this memoir we see Susan Joyce develop from the innocent young wife into a wise and determined woman." "An absolutely gripping memoir written by somebody who has that rare combination - experience of earth shattering events which turn our stomachs to water, and the writing skills to capture the whole experience." "Each page brings another revelation, leaving the reader amazed at how intriguing her life has been so far. Mixed with emotional trauma, war and interspersed with details of other adventures, and leaving you wanting more. It is a Memoir that will leave you amazed." Please share this page, click here to share to your social networks and support this author!